Guys, this is a good one. It’s a long title, but I just felt like you needed to know the extent of what’s happening here like, immediately. 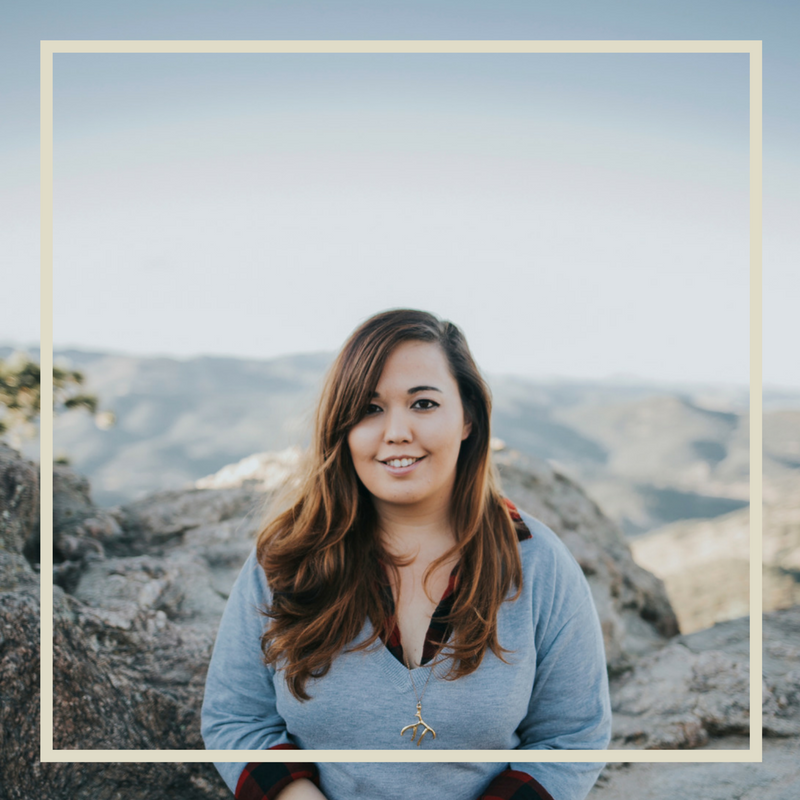 The point of the story is that I’m so excited to be partnering with this awesome restaurant for my post today, and I hope you guys love it! Thanks for listening. My husband and I went over to Dion’s last night for dinner, my first time at the restaurant. We ordered the Duke City pizza, from a recommendation of my friend Chaz, and it didn’t disappoint! It’s really unique, with green chili’s so it’s got a good kick to it. 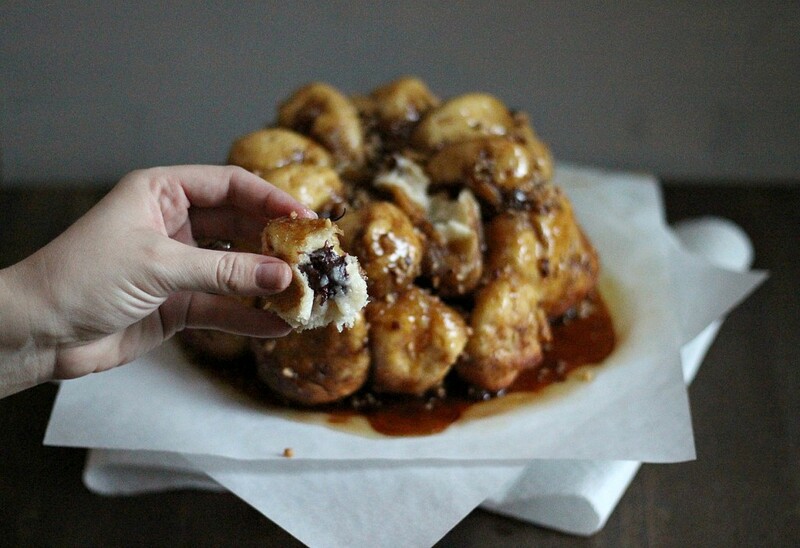 When we headed out, we grabbed a few dough balls to take home for this dessert recipe. 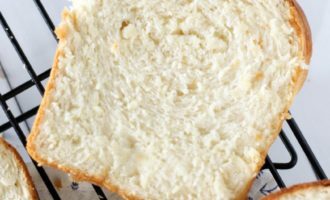 Their dough is made fresh every morning, so it’s really great to work with, especially compared to some grocery store options out there. 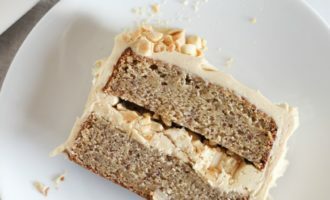 I’m a from-scratch baker for a lot of recipes, but in my everyday life, I LOVE shortcuts. 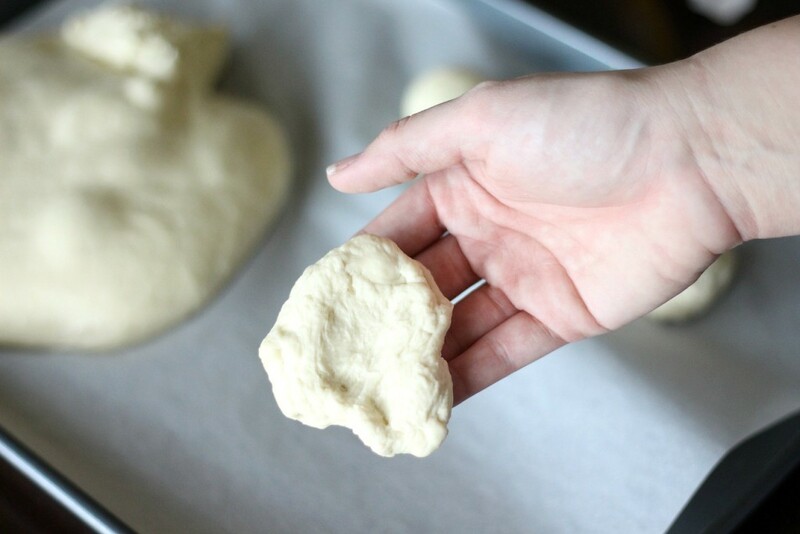 With such a great quality dough, it’s super easy to bake with. 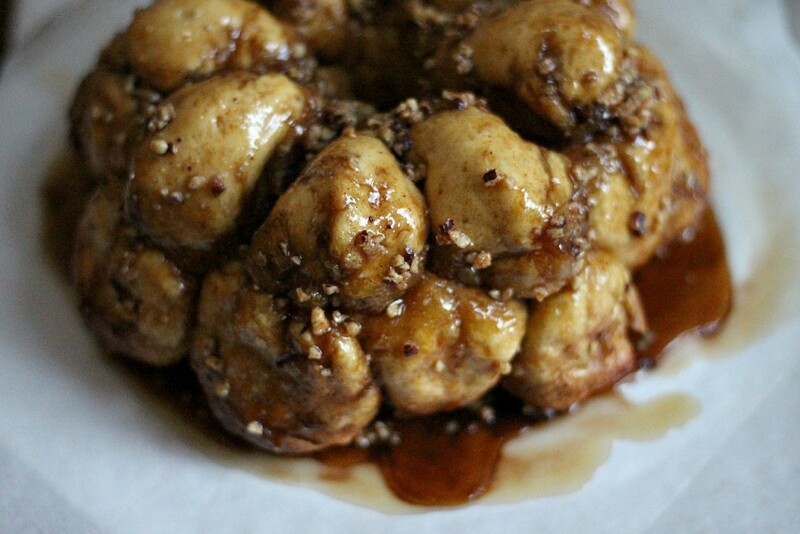 Alright, on to the monkey bread. 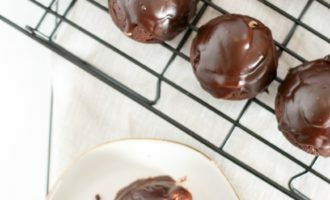 You guys, please, you must try this recipe! It’s one of my favorite things I’ve ever made. Seriously, EVER. 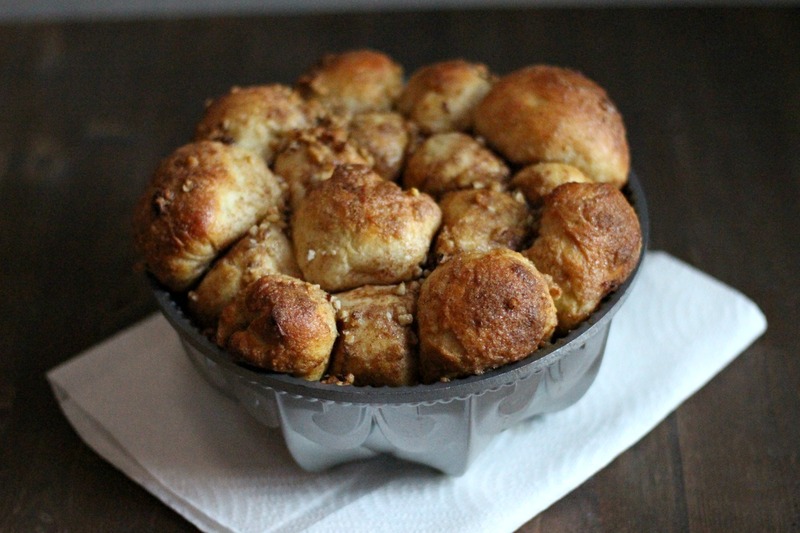 Listen, you can make monkey bread that’s not stuffed. You can, but don’t, because this version is worth every single extra step. 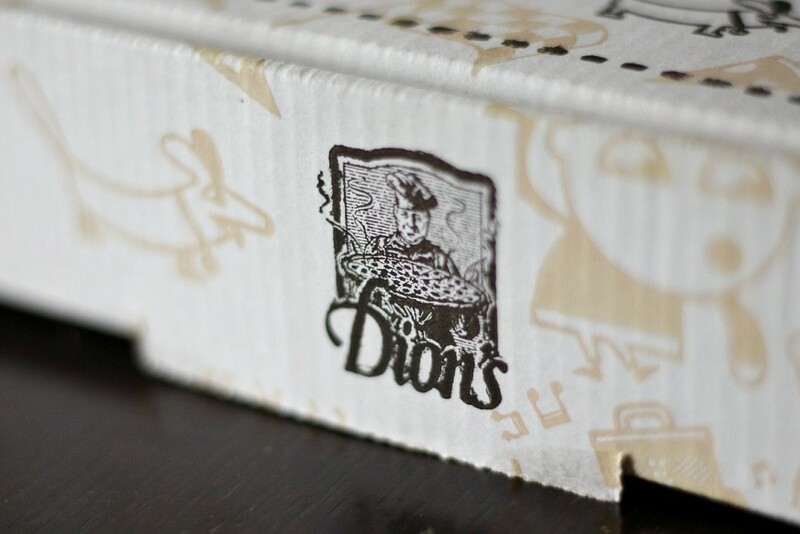 I hope you guys enjoy this as much as we did, and if you have a Dion’s in your city, give it a shot, you won’t be disappointed! This post was sponsored by Dion’s. Preheat your oven to 350 degrees, and grease a 10-cup bundt pan with cooking spray. In a small bowl, beat together the cream cheese, first 1/2 cup of sugar, and 2 tsp. 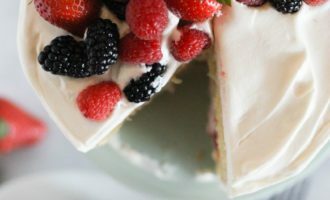 vanilla. Set aside. Place your melted butter in another small bowl. In a third small bowl, mix together the 3/4 cup sugar and cinnamon. Set aside. 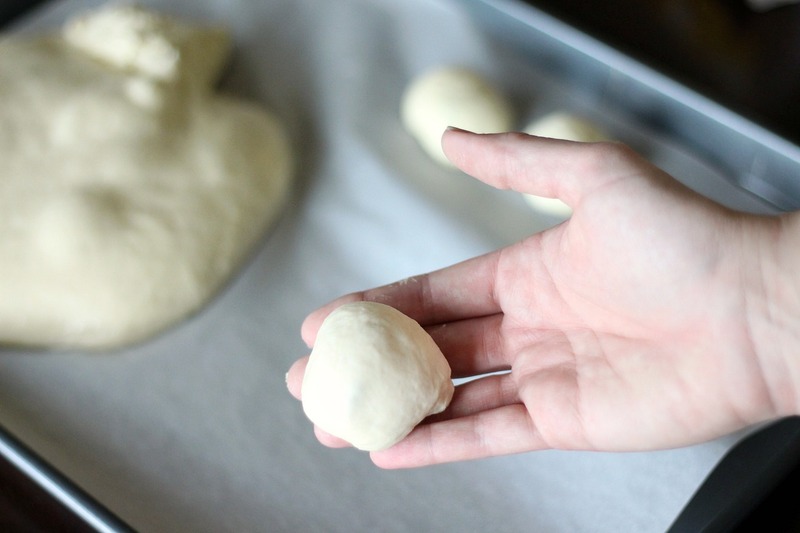 Pull off small pieces of dough, about the size of a golf ball. Stretch the dough into a flat circle. Spoon a small amount of the cream cheese mixture in the middle, along with two chocolate chips. 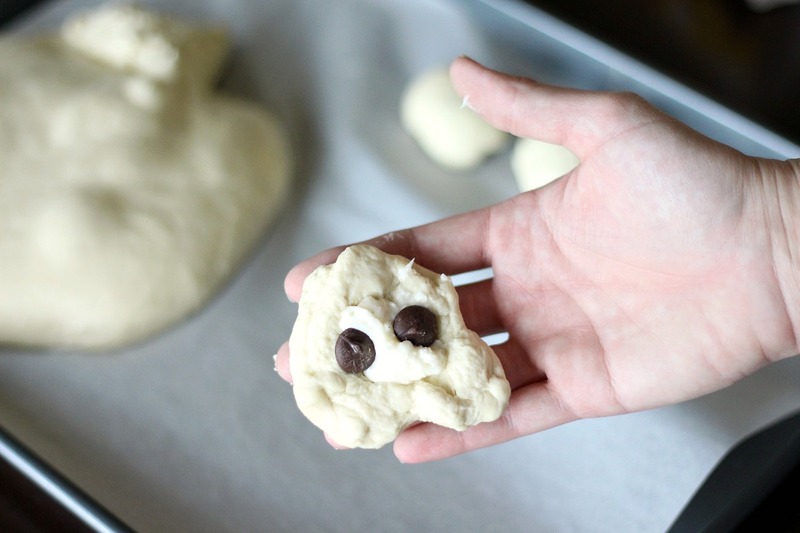 Stretch the dough around the filling back into a circle shape, and pinch to seal. 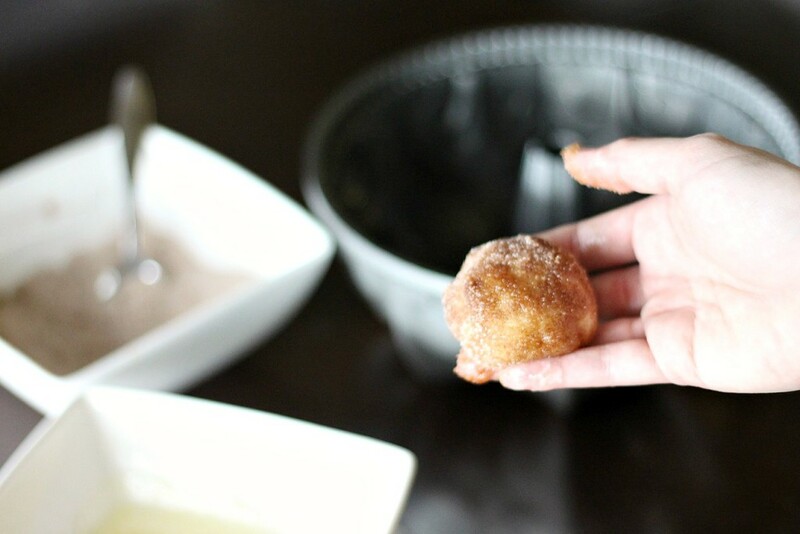 Dip the ball into the melted butter, and then roll in the cinnamon-sugar mix. 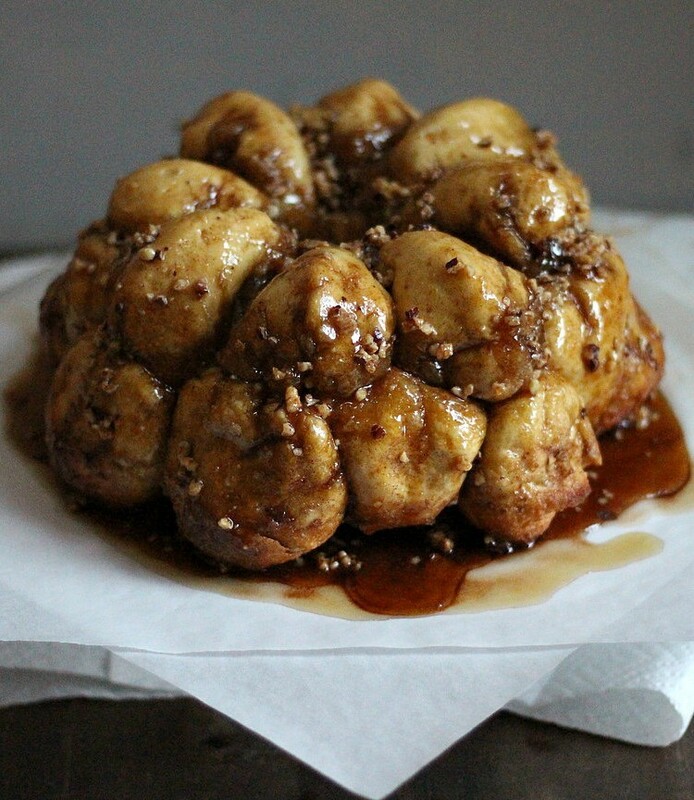 Place in your bundt pan. 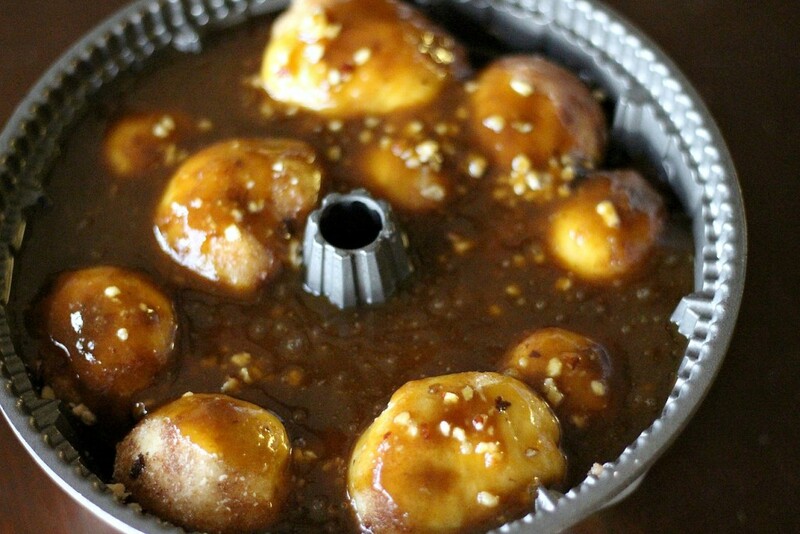 Continue until you have one layer of filled dough balls in the pan. Then sprinkle on half of the chopped hazelnuts. Finish filling and rolling the rest of the dough balls, until the pan is 3/4 full. In a small saucepan, melt the second 1/2 cup of butter, then whisk in the brown sugar, vanilla, and salt until combined. Pour the sauce over your dough in the bundt pan. Bake at 350 degrees for 40-50 minutes, or until set, and the top is golden. 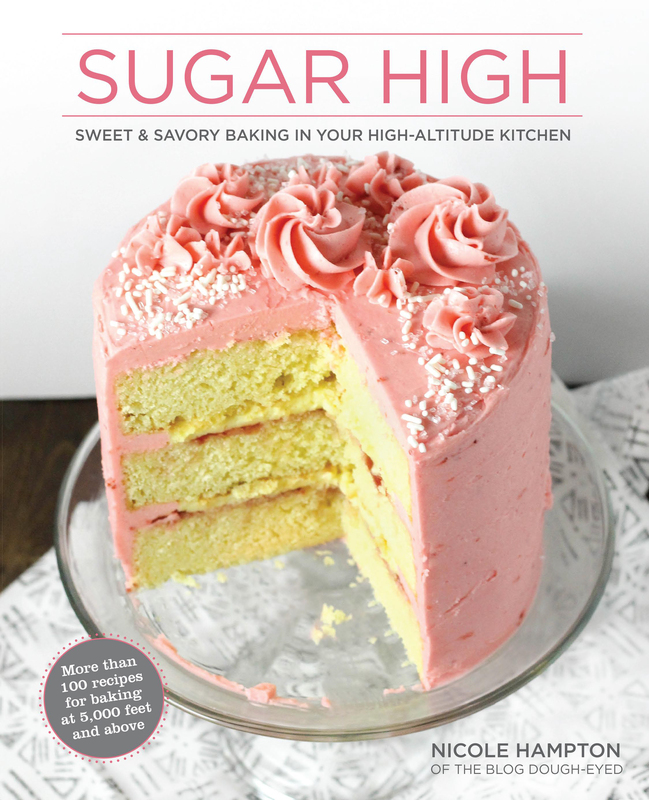 If the top starts to get too dark, cover with foil while you continue to bake. Cool for 10-15 minutes, and then turn out onto a plate, and enjoy warm!